Get ready to fall in love the second time around in Paris! When it comes to romance, no city can compare to Paris. Home to the love locks of Pont des Arts, ‘I love you’s’ of the Wall of Love and the glittering lights of the Eiffel tower; numerous scenic sightings will have you agree that Paris truly deserves the title “City of Love”. Aside from the famed landmarks, Paris also became a famous setting for romantic movies that have also added to the rosy image of the city. Familiar with French Kiss, Amelie, and Midnight in Paris? Aside from these Hollywood movies, some Asian movies also set their on screen love story in Paris. One of which, is the new movie release, Eiffel I’m in Love 2. Eiffel I’m in Love is an Indonesian romantic comedy movie that tells the story of a teenage girl, Tita who led a perfect life – with a lovely family, a patient boyfriend and two best friends by her side. But fate completely changes when Adit, the son of her parents’ friend came to stay with them from France and told her eventually that their parents were planning to match make them. This 2003 teen movie has won the “Most Favorite Movie” and got nominated for “Best Movie” at the 2004 MTV Indonesia Movie Awards. With the success of the first movie comes the new movie release and continuation of Tita and Adit’s love story 14 years later in the Eiffel I’m in Love 2. Faced with the troubles of a long distance relationship, will their relationship end up happily? Directed by Rizal Montovani, Eiffel I’m in Love 2 stars Shandy Aulia and Samuel Rizal. Be sure to catch it in movie cinemas, 5 July! 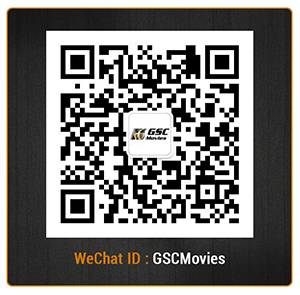 Follow GSC movies on Facebook, Twitter, Instagram and YouTube to check out more top movies, new movie releases, and new trailers!